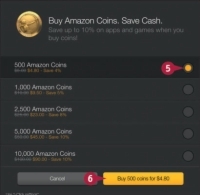 To purchase apps and games, you can use Amazon Coins and save money. Amazon Coins are prepaid credits that reduce the price of apps and games by as much as 10 percent. You automatically earn Amazon Coins when you purchase certain Fire tablet apps and in-app items, or you can buy Amazon Coins directly. 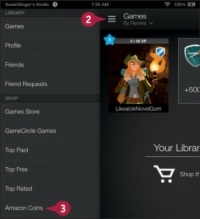 Although Amazon Coins that you purchase do not expire, coins that you earn from purchases do expire 12 months after you receive them, and are used first when making purchases with them. The appropriate content library opens. 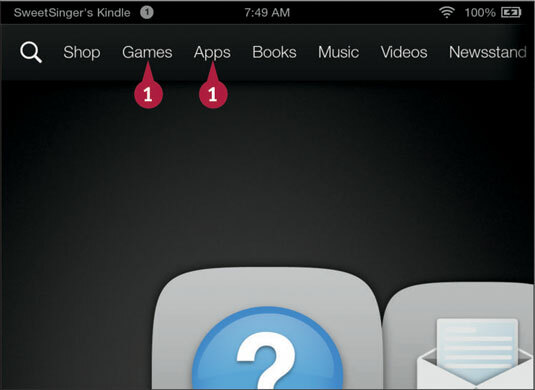 2Tap the Navigation button to display the Navigation panel. 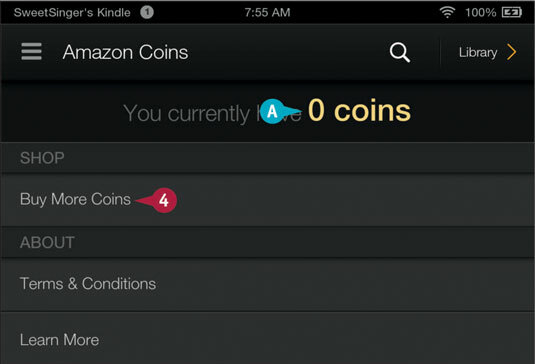 The Amazon Coins screen appears. The number of coins you currently have appears here. Select the option for the number of coins you want to buy. Amazon completes your purchase using a payment method established for your Amazon account.